Ace the Security+ SY0-501 Exam! Ace the CompTIA Security+ exam! The CompTIA Security+ certification has just been updated! Security+ is one of the most popular security certifications in the IT industry and is usually the first that IT professionals attempt. It is a three-year renewable certification that is required by the DoD and other government agencies, not to mention many corporations. The Security+ exam shows employers that a person has developed a foundation of the necessary skills needed to secure applications, computers and networks in the workplace. This live training course will cover the newly updated SYO-501 exam. It is designed to give you the information you need to pass the exam and start your successful career as a security professional. Explore security threats, attacks and vulnerabilities, and how to defend against and prevent these from occurring. Understand how security technologies and tools function. For example, firewalls, proxies, NAC, NIDS/NIPS, DLP, protocol analyzers, network scanners, and much more. Learn about security architecture and design including concepts such as defense-in-depth, benchmarking, industry-standard frameworks, secure network design, and secure systems design. Compare and contrast various identity and access management technologies such as single sign-on and federation, and LDAP, Kerberos, MS-CHAP, NTLM, plus access control models such as MAC, DAC, ABAC, and RBAC. Examine risk management as it applies to security and technology. Summarize incident response and computer forensics. Discover cryptography and public key infrastructure (PKI). Explore exam-taking tips and techniques. You desire to increase your security awareness as it applies to tools, technologies, and secure design. CompTIA does not require any pre-requisites but they recommend a minimum of two years’ experience in IT administration with a focus on security. Highly recommended: Basic knowledge of computers and computer networking. 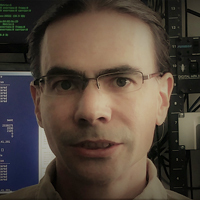 David L. Prowse is an author, technologist, and technical trainer. He has penned a dozen books for Pearson Education, including the well-received CompTIA A+ Exam Cram and CompTIA Security+ Cert Guide. He also develops video content, including the CompTIA A+ LiveLessons video course. Over the past two decades he has taught CompTIA A+, Network+, and Security+ certification courses, both in the classroom and via the Internet. David has 20 years of experience in the IT field, and loves to share that experience with his readers, watchers, and students. Attendees will follow along with hands-on exercises.